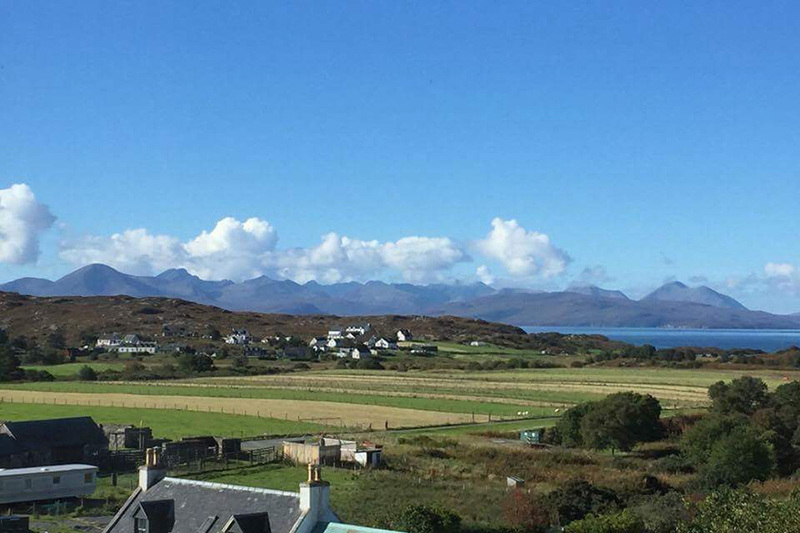 We at Tigh-Arran would love to welcome you into our home in the lovely scenic village of Duirinish, where you will find Highland cattle roaming freely. Duirinish is only 2 miles from Plockton. 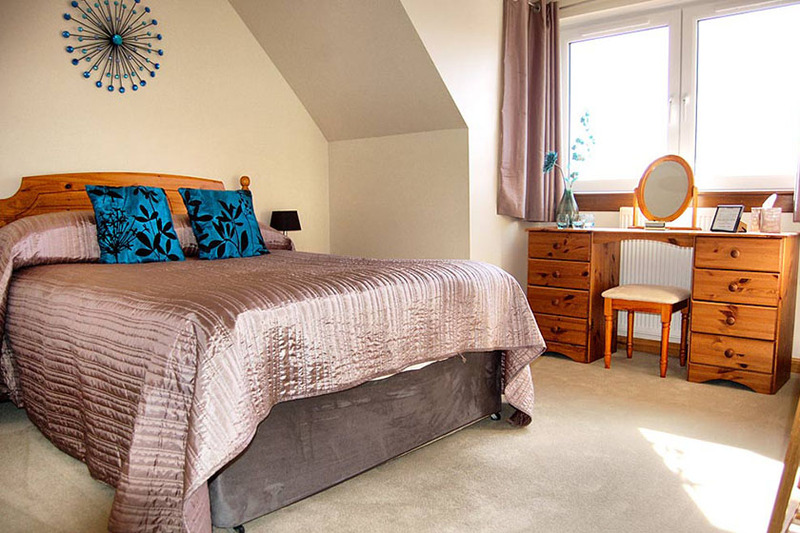 Tigh-Arran has 2 Family rooms and 1 double room which are all en-suite and have panoramic views over the sea to Skye. The house is kept to a high standard and for the past four years we have had a 5 out 5 rating on Trip Advisor. Selection of board game, books and Dvd’s for your use. Outside we have a large enclosed garden with furnished decking area and wooden swing & off road parking.